Baby Milk Action organised a protest on Tuesday (24 June 2014) outside an event where Nestlé was promoting its SMA formula brand to health workers. 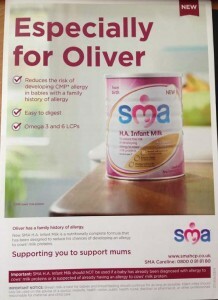 Nestlé’s event was ostensibly about ‘food hypersensitivity management in infants and pre-school children’, but is part of its strategy to promote the SMA brand in general, and its new SMA HA formula in particular. 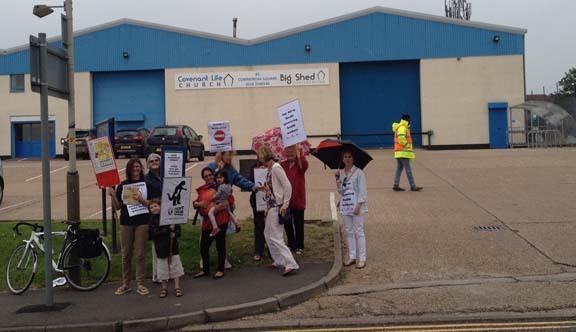 A small group offered leaflets to anyone arriving for the event. There was no attempt to disrupt the event or stop people entering. Our aim is to prompt a debate about the conflicts of interest involved in attending such events. 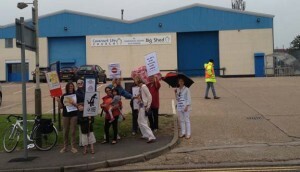 Several of the people attending came back to collect a leaflet after parking their cars. It only takes a few people to make people aware there are leaflets being offered. If you are interested in joining a future protest, see the Nestlé demonstrations page. As exposed below, the main responsibility of the Maternal and Infant Nutrition staff Nestlé recruits is to ‘Stimulate retail sales through the promotion of infant formulas and cereals to gain Healthcare Professionals recommendations’. In this blog, I’ll look at what Nestlé is doing, the rules that companies and health workers should follow, where health workers can find independent, accurate information on infant formula, and what you can do to protect the right of health workers, pregnant women and parents to independent, accurate information. Nestlé took over the SMA brand from Pfizer Nutrition/Wyeth in December 2012 and we have since seen the aggressive practices it uses around the world being brought to the UK. 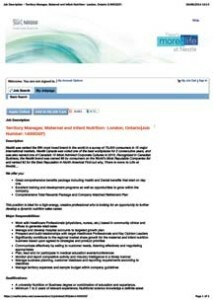 It has recruited a team of Nestlé Nutrition Representatives who are targeting health workers. We have had a report of a rep. entering a hospital ward uninvited. When challenged, she asked to see the infant feeding coordinator. It is a violation of the International Code of Marketing of Breastmilk Substitutes for company reps. to seek contact with pregnant women and parents and there should be no promotion of formula brands in hospital facilities. The events Nestlé is organising are branded with the SMA formula name and logo. 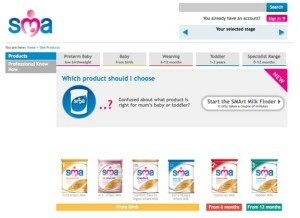 Health workers have to register via an SMA branded website if they wish to attend, where the products are promoted. While the International Code allows companies to provide scientific and factual information on products to health workers, company information is generally found to be misleading and not evidence based. This is why Nestlé dislikes having this assessed by experts before being communicated to other staff. Independent information on company products is available. First Steps Nutrition Trust produces an in-depth analysis of the formulas on the UK market. The reports can be downloaded from the First Steps Nutrition Trust website. 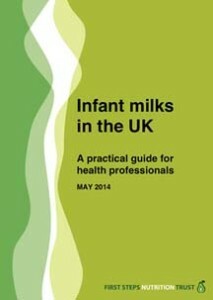 Baby Milk Action has worked with NHS trusts in Lancashire, which set up the Infant Feeding Information Team (IFIT – under NHS Blackpool and NHS North Lancashire) and now the Lancashire Infant Feeding Information Board (LIFIB). Health workers anywhere can sign up to receive LIFIB’s bulletin on infant feeding issues, that includes information on formula, such as new products, changes to formulation and packaging, and assessment of the claims companies make for them. Remember, Baby Milk Action and others have won cases against formula companies misleading parents in their promotion of formula to the public. Unfortunately, the Advertising Standards Authority (ASA) refuses to investigate similar claims made in advertising directed at health workers, arguing that it is the responsibility of health workers to evaluate the claims themselves. Health workers are best advised to look to the independent, evidence-based information available. The experts producing these materials critically appraise the information provided by companies. 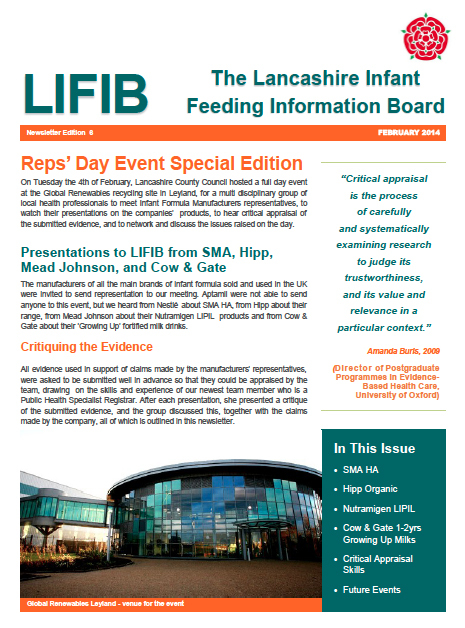 LIFIB invites company representatives to provide information and make presentations to its multi-disciplinary panel. It has also organised annual events where the designated health experts in its area can meet with company reps. and put questions to them. It is a model that could usefully be implemented at national level, or at least be followed in other areas. Representatives are required to submit any scientific research they wish to refer to in advance so this can be critically appraised. An independent expert also makes a presentation on its reliability – and the findings of other studies. Relevant information is then communicated through the bulletin. These events have drawn out information that is highly unlikely to have been forthcoming by other means. For example, under questioning Danone’s representatives admitted that the powder in the Cow & Gate Comfort formula is exactly the same as in Aptamil Comfort formula. The only difference is the packaging and price. The extra markup on Aptamil was explained as covering research and development, but is a marketing ploy to position it as a premium product. Health workers also have responsibilities under the International Code of Marketing of Breastmilk Substitutes and subsequent, relevant Resolutions of the World Health Assembly. ‘ensure that financial support and other incentives for programmes and health professionals working in infant and young child health do not create CONFLICTS OF INTEREST’. Events sponsored or organised by a company with a vested interest in promoting its products clearly create conflicts of interest. Nestlé offers inducements to health workers to attend events, such as refreshments (served for an hour at the start of the event described above), lunch at longer events and guest speakers. Sometimes guest speakers are talking on subjects related to Nestlé’s product promotion – such as food hypersensitivity in the above example. Sometimes they are there simply to draw in health workers who might be interested in topics such as water birth. Health workers may feel they are immune to Nestlé’s charms and quite able to assess its information and ignore any claims that are not evidence based. But make no mistake, Nestlé thinks otherwise. It is not organising these events out of altruism, but to gain recommendations for its products. Stimulate retail sales through the promotion of infant formulas and cereals to gain Healthcare Professionals recommendations (physicians, nurses, etc.) based in community clinics and offices. Manage and develop hospital accounts to targeted growth plan. Prospect and build relationships with target Healthcare Professionals and Key Opinion Leaders. Significantly contribute to the regional market share growth for infant formula, cereals & foods based upon agreed to strategies and product priorities. Communicate effectively by selling to customer needs, listening effectively, being persuasive & negotiating appropriately. Plan, lead and /or participate in medical education events/conferences. Nestlé’s strategy is to induce health care professionals to recommend its products. Yet, the health care system cannot be used to promote products according to the Code. In other words, recommending specific products to parents is a violation. In the UK, all formula sold has to comply with composition requirements specified in legislation. There is no reason to recommend one brand over another. Parents who use formula may as well use price and the preferences of their child to select a formula (brands do have different tastes depending, for example, on whether added omega 3 is derived from fish oils, fungi or other sources). Health workers who support parents who intend to use formula do need to know what is on the market, of course, to be able to answer any questions that may arise. Such as, whether claims made for the products are true and whether one formula really is better than another (all companies claim their brand is better than competing brands). The only way to do this is to have accurate, independent information. Nestlé’s information will be geared to its stated aim of gaining health care professional recommendations. Various health workers have contacted us about a curious market research exercise being conducted by the Millward Brown market research company into a Nestlé SMA advertising campaign. We contacted the company to ask if it is doing this research for Nestlé, but it has refused to confirm or deny this. In any case, the questions reveal how marketers develop their strategies for targeting health workers. It is also interesting how the focus is on the emotional response to brands (do you ‘love it’ or ‘hate it’) and the feelings induced by advertisements such as that from Nestlé, show left (is it ‘Pleasant, Interesting, Boring or Irritating’). Q3.4 If you were to discuss with mums specific infant formula brands you think would be appropriate for them, please indicate which brands you are most likely to mention. Q3.7 Which of the following SMA formula milk products have you heard of? Q3.8 For each of the following brands of formula milk, please indicate how you feel about the brand using the scale provided [from ‘I love it’ to ‘I hate it’]. Q3.13 Which of the following infant formula milk brands do you think is the leading brand of infant formula? [I find the questions about the advertisement interesting, because there are no questions about whether it provides sufficient scientific and factual information, and whether the references are clear (actually, it does not give any references). Instead the focus is on how well it works to arouse positive feelings for the brand]. Nestlé is not alone in pursuing these strategies, of course. Its leading competitor, Danone, is also targeting health workers through sponsorship, study days, professional services and other initiatives. Since Nestlé entered the UK, things seem to becoming more aggressive. This year, we have seen Hipp also embarking on the study day route to reach parents. Baby Milk Action has embarked on its ‘Say NO to formula company sponsorship‘ campaign in response to the many messages of concern we receive from health workers who are targeted by companies and also dismayed to see events they might otherwise attend being sponsored by companies. You will find a range of resources available for promoting the campaign in our online Virtual Shop. Let us know what you think by posting a comment below, or contact us.